Nature is unique on Spetses. So much so, the Venetians called it isola di spezzie which means the island of aromas. That’s how the name Spetses came to be. Lush with greenery, flowers and trees, it is an ideal island escape with its own unique history. Just two hours by ferry from Athens, Spetses is a popular weekend getaway for Athenians and a short trip for visitors interested in discovering one of the prettiest little islands in the Saronic Gulf. Only a few cars are allowed on the island which creates a different atmosphere compared to other islands. Many visitors love walking and bicycling around to discover it. 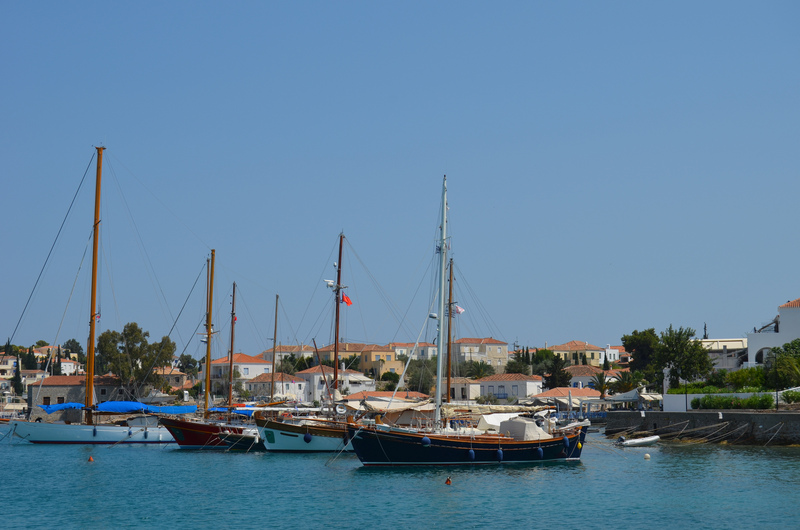 Spetses has a long naval tradition. 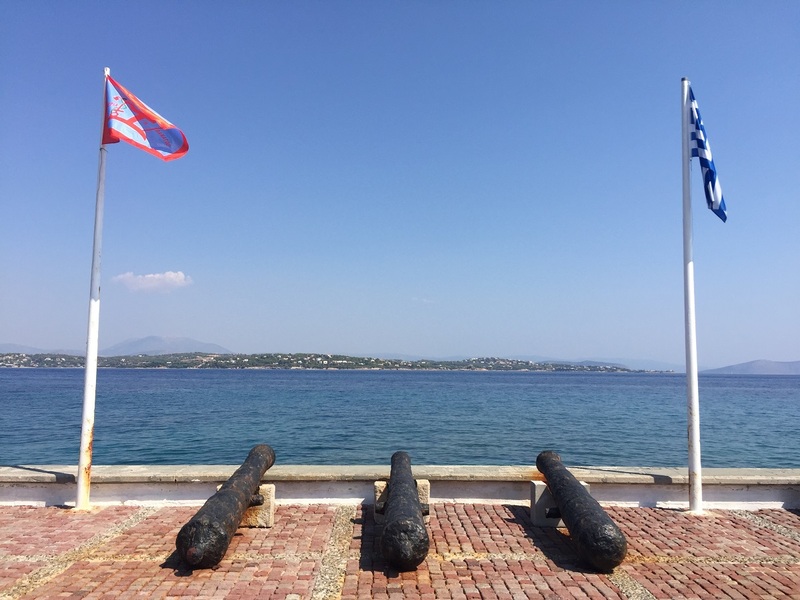 The island played a big role in the 1821 Greek War of Independence when local commercial ships were turned into military ships. 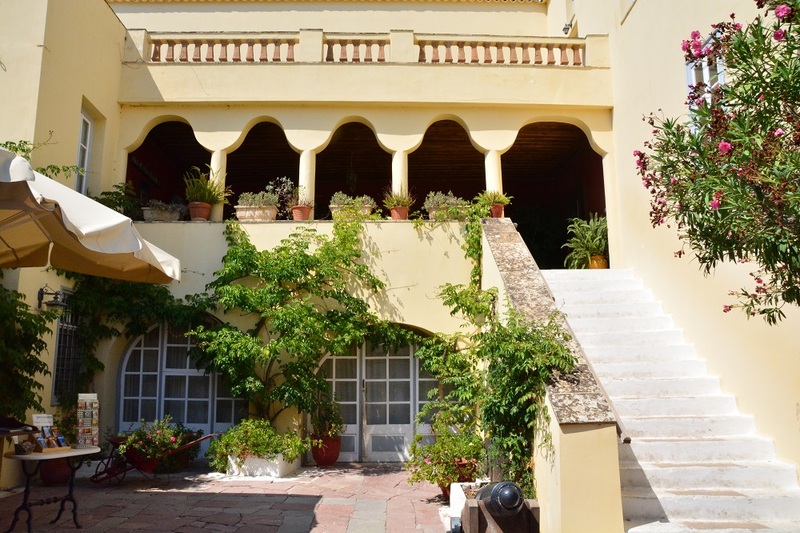 Exploring Spetses, you’ll find grand captain mansions from this era. On Spetses, the impressive Armata naval battle re-enactment takes place in the harbor every year. The event culminates with the burning of a boat in commemoration of a naval flight between Greeks and Turks. It’s a tradition that has continued since the 1930s. Museums on the island also tell the tales of this important time in Greek history. The House of Bouboulina is a museum dedicated to Laskarina Bouboulina, one of Greece’s biggest heroines who fought in the 1821 War of Independence. The House of Hatzigiannis Mexis is another interesting museum which exhibits relics from the War of Independence as well. Several churches on Spetses are considered both historic and beautiful. The 19th-century Church of Panayia Armata was built to honor Greece’s victory against the Ottoman Empire. Also, the Cathedral of Ayios Nikolaos was where an independence flag was raised with pride. After you’ve delved into the rich history of the island, you can enjoy the outdoors. 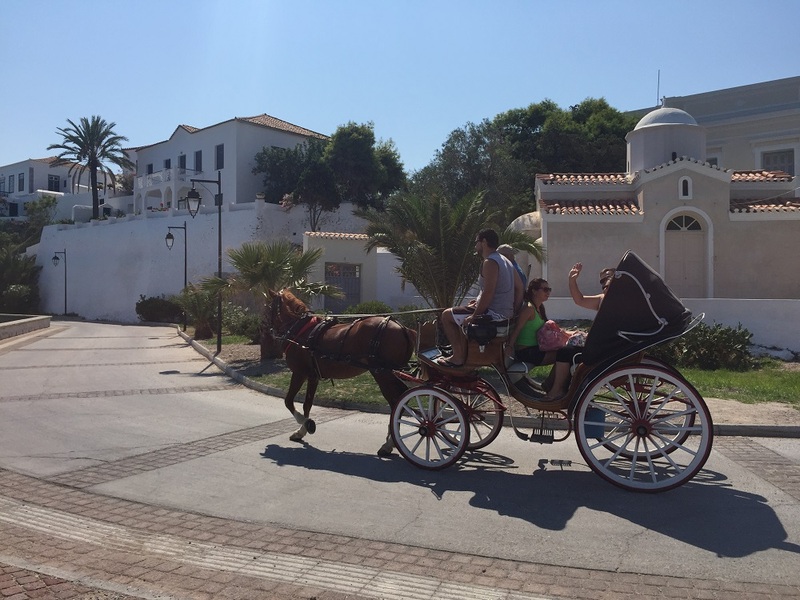 The picturesque old harbor and the district of Dapia are perfect for scenic seaside walks or a horse-drawn carriage ride. There are also many beaches accessible by walking, water taxis and by bus. 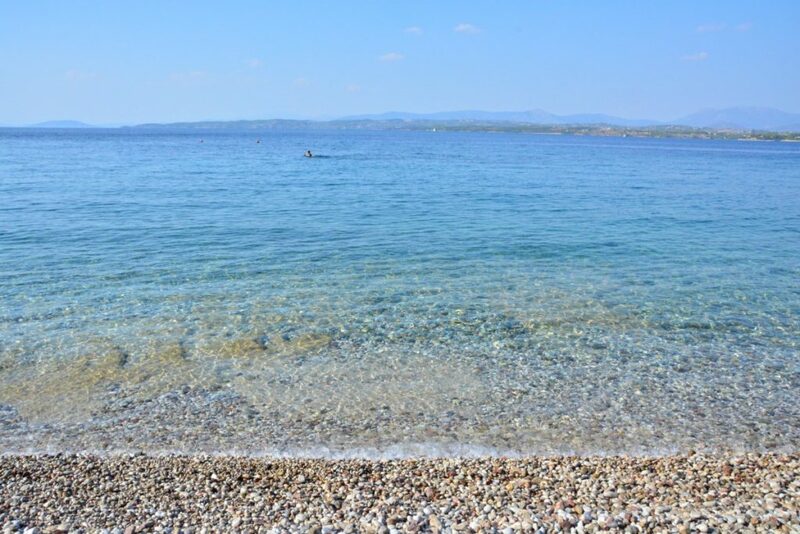 Some of the most loved beaches are Ayioi Anargyroi, Ayia Paraskevi, Ayia Marina, Vrellos, Zogeria and Xylokeriza. 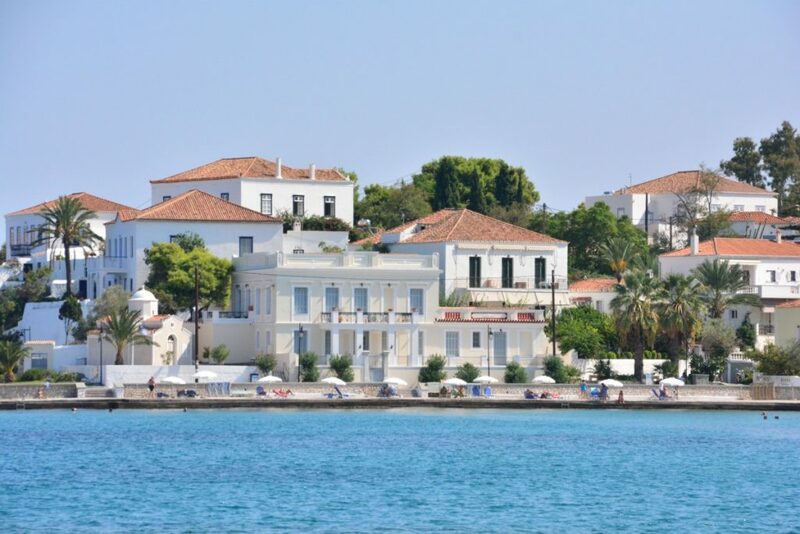 Spetses is also known for its races which bring a fun and energetic crowd to the island. Every April, the Spetsathlon, which is the biggest triathlon in Greece, takes place. Every October, its sister race called the Spetses Mini Marathon attracts international participants as well. 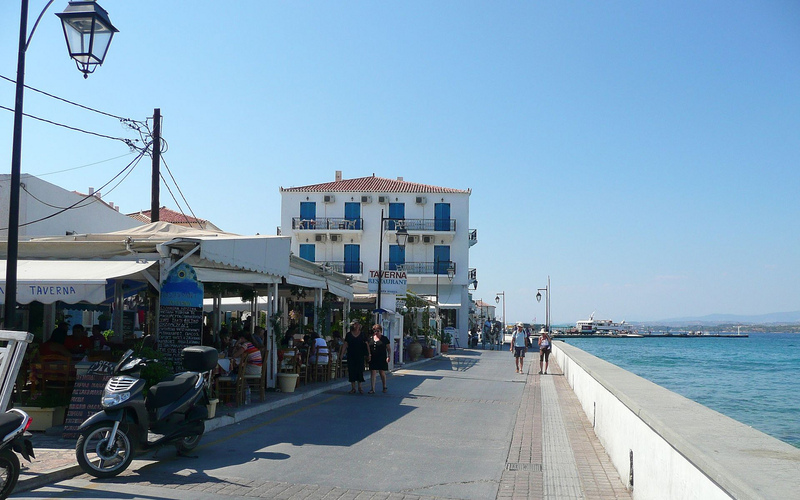 Spetses has a great choice of restaurants set in scenic locations by the sea. Several are in the picturesque old harbor area. Meanwhile, there are great beachside restaurants too. A few charming yet relaxing bars draw a following during the summer months. As for special dishes, look out for the Psari a la Spetsiota, which is baked halibut, cod or red snapper made with a rich and tasty tomato sauce, parsley and breadcrumbs. For those with a sweet tooth, head to a local bakery for amigdolata, pear shaped almond biscuits with rose water. A visit to Spetses can easily be combined with other islands like Hydra or beach towns in eastern Peloponnese including Ermioni and Porto Heli. At Fly Me to the Moon, we love islands with strong character, history and beauty. Spetses has it all. Would you like to travel to Spetses?